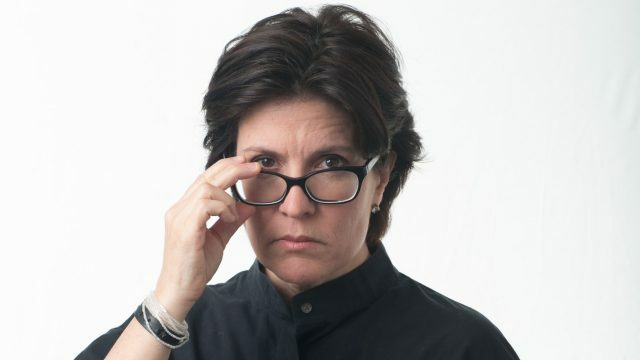 For 2017, the SXSW Interactive Hall of Fame proudly inducts Kara Swisher, executive editor and co-founder of Recode, host of the Recode Decode podcast, and co-executive producer of the Code Conference series. The SXSW Interactive Hall of Fame recognizes pioneers within the interactive community whose career achievements have charted the course for the future of the digital industry. Swisher’s career sits at the nexus of what’s most important to SXSW Interactive: Innovation and inspiration in the tech industry, and — perhaps more importantly than ever — uncompromisingly honest journalism. Since Web 2.0, Swisher has long been out in front of the cutting edge consistently sussing out important digital industry trends. Swisher breaks the most salient news with a sharp lens that focuses on the heart of a story with immediacy, unparalleled insight, and her uncanny ability to find the truth. Swisher also co-founded Revere Digital, an independent media company that housed Recode and Code, with Walt Mossberg. It was acquired in 2015 by Vox Media. Recodes’s flagship conference, Code, has hosted interviewees such as Bill Gates and Steve Jobs as well as most of the leading players in the tech and media industries. It is considered one of the leading conferences focused on the convergence of tech and media industries. Before Recode, Swisher and Mossberg created and ran the All Things Digital website and the D conference for The Wall Street Journal. Swisher also covered breaking news about the Web’s major players and Internet policy issues, and also wrote feature articles on technology for The Wall Street Journal’s San Francisco bureau. She has also written a weekly column for the Personal Journal on home issues called “Home Economics,” worked as a reporter at the Washington Post, and as an editor at the Washington City Paper. In addition to her many accomplishments, Swisher is the author of aol.com: How Steve Case Beat Bill Gates, Nailed the Netheads and Made Millions in the War for the Web (Times Business Books; 1998), and the sequel, There Must Be a Pony in Here Somewhere: The AOL Time Warner Debacle and the Quest for a Digital Future (Crown Business Books; 2003). Swisher has been a long-time friend of the SXSW Interactive Festival, and a frequent guest as a speaker, interviewer, and moderator. She has lent her wit and clarity to panels such as “She’s a C-Word! Lessons From Tech’s C-Suite Women” (2015), “Why Didn’t a Tech Journalist Break PRISM?” (2014), “A Home on the Web: The State of Blogging” (2013), and “Anything You Can Do, I Can Do Backwards in Heels” (2012), among many others. Swisher is the 6th Interactive Hall of Fame inductee, joining esteemed honorees such as futurist comedian, writer, and critic Baratunde Thurston (2016), Girlstart Executive Director Tamara Hudgins (2015), MIT Media Lab Director Joi Ito (2014), social media expert and researcher danah boyd (2013), and web design guru and entrepreneur Jeffrey Zeldman (2012). Swisher will be honored at the 20th annual Interactive Innovation Awards ceremony on Tuesday, March 14 at the Hilton Austin Downtown. The ceremony will also recognize the most forward-thinking achievements in the connected world, including the finalists and winners of the 13 categories of the Interactive Innovation Awards, as well as the special honors Speaker of the Event, Breakout Trend of the Event, Meme of the Year, People’s Choice, and Best of Show. Register to attend SXSW 2017 today to join us at the Interactive Innovation Awards ceremony as we honor Kara Swisher. Photo of 2017 Interactive Hall of Fame Inductee, Kara Swisher.